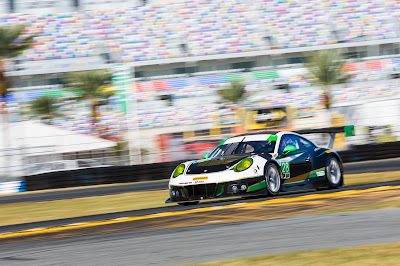 After 20 years of motorsport competition, Alegra Motorsports will enter the IMSA Tequila Patron North American Endurance Cup in 2017 with a strong ambition to race the full WeatherTech SportsCar Championship schedule in the GT Daytona class in the all-new Porsche 911 GT3 R.
Alegra Motorsports will be comprised of an all-star lineup starting at the Rolex 24 At Daytona on Jan. 26-29 at Daytona International Speedway – 2016 IMSA Porsche GT3 Cup Challenge champions Daniel Morad, Jesse Lazare and Michael de Quesada, along with former Porsche GT3 Cup Challenge champion and highly respected team principal Carlos de Quesada, who won the 2007 Rolex 24 At Daytona. The team also plans to compete in the GTD class in at least three other North American Endurance Cup races: 12 Hours of Sebring on March 15-18 at Sebring, Florida, Six Hours of The Glen on June 29-July 2 at Watkins Glen, New York, and Petit Le Mans on Oct. 4-7 at Braselton, Georgia. Morad, from Toronto, won the Platinum Cup class in the Ultra 94 Porsche GT3 Cup Challenge Canada by Yokohama and captured the IMSA North American Cup in 2016, his second season with Alegra Motorsports. Lazare, from Montreal, captured the Platinum Cup title last season in the Porsche GT3 Cup Challenge USA by Yokohama. Michael de Quesada, from Tampa, Florida, won the Gold Cup class championship in 2016 in the USAseries at age 16, the youngest champion in series history. Carlos de Quesada, also from Tampa, Florida, won the Gold Cup title in Canada in 2013. "This is an unbelievable lineup of young talented drivers," Carlos de Quesada said. "Alegra has been around for 20 years, and I can say that these three drivers are some of the most talented I've ever worked with." The team will be guided by veteran team manager Andy Greene, one of the most respected mechanics and managers in North American sports car racing. Under Greene's guidance, the Alegra Motorsports team won the Platinum Class Team Championship in the 2015 and 2016 Ultra 94 Porsche GT3 Cup Challenge Canada by Yokohama seasons. Alegra Motorsports will field a GT3-spec 2017 Porsche 911 GT3 R.
With winning experience behind the wheel of a Porsche GT3 Cup car, the 911 GT3 R will be familiar territory for the team. Morad, 26, is more than ready to take on this challenge. Alegra Motorsports gave him the chance to compete in sports car racing in 2015 after a distinguished open-wheel career marked by victories in North America and Europe, and he has not squandered the opportunity. Securing both championships that he entered in 2016, and producing a standout performance at the 12 Hours of Sebring earlier this year in the Prototype class, shows what can be expected from Morad. "It's been an absolute pleasure to work with Carlos and the whole Alegra Motorsports team over the past two seasons," Morad said. "To be taking on this next challenge, the Rolex 24 Hours At Daytona, with Jesse and Michael will be very special. "Jesse and I raced wheel to wheel in the last events of 2016, and it truly showed me how ready he is for this huge opportunity. As for Michael, he has become like a brother to me. We have been stablemates for the past few years in the Porsche GT3 Cup series here in Canada, and I can say that he is the real deal. This is a huge opportunity for us, and to be taking on the challenge with such a great team is so exciting. Thank you so much to Carlos and the team for the opportunity to drive for such an amazing team and family." Lazare, 19, proved his worth all season in the Porsche GT3 Cup Challenge USA by Yokohama, winning 12 of 16 events on his way to the 2016 crown. Carlos de Quesada and Morad discussed the possibility of fielding a lineup of Porsche GT3 Cup series drivers. They decided to go forward with the plan and made the announcement after hearing Lazare's speech at the season-ending awards banquet. The announcement caught Lazare by surprise after closing his 2016 campaign out with a race victory. "Hearing my name called out by Carlos at the banquet was like a dream come true," Lazare said. "I had no idea that I was even in the running for a seat. I have always wanted to race in the Rolex 24 Hours At Daytona, and to be racing in it with Alegra Motorsports just makes it that much better. "They're past winners of the race, and they are such a well-respected team. The team has performed all season in the Porsche GT3 Cup with Michael de Quesada and Daniel Morad. Daniel is a great talent, and Michael has shown some great speed and poise all season. He is only going to improve and learn, as he only just turned 17 years old. Thanks so much to Carlos and Daniel for bringing me onboard. I can't wait to get to work with Alegra Motorsports." Michael de Quesada, 17, impressed many during the 2016 season. He drove a near-faultless campaign and racked up numerous race wins on his way to the title as a 16-year-old. His hard work earned him the opportunity to follow in his father's footsteps and compete in the Rolex 24 At Daytona. "Daniel and I, along with the entire team, have worked so hard this season, and it's all paid off," Michael de Quesada said. "I've been lucky enough to watch Jesse all season in the USA series, and he is just amazing. Daniel has been a mentor to me over these past two seasons, and I can't thank him enough for sharing his wealth of knowledge with me. I can't wait to work with these guys, both on and off the track, and push that GT3 R to its limits."